So what is Portable North Pole? Portable North Pole (PNP) is where Santa and his elves send personalised video messages and calls to very special little people (and big people) almost anywhere around the world via the internet. I just have to give Santa some information about Pickle, a couple of photos too and he makes a personalised video message or phone call that is absolutely magical. I can also download a HD copy of my video to enjoy, to share via Facebook or email. 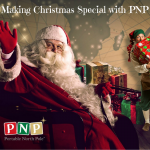 PNP is available on www.portablenorthpole.com, as well as mobile phones and tablets via a free app. This app is compatible with Apple devices as well as most Android phones and tablets. The PNP mobile app features access to the Free and Premium videos, exclusive games, synchronisation with your own account on the web and much more. 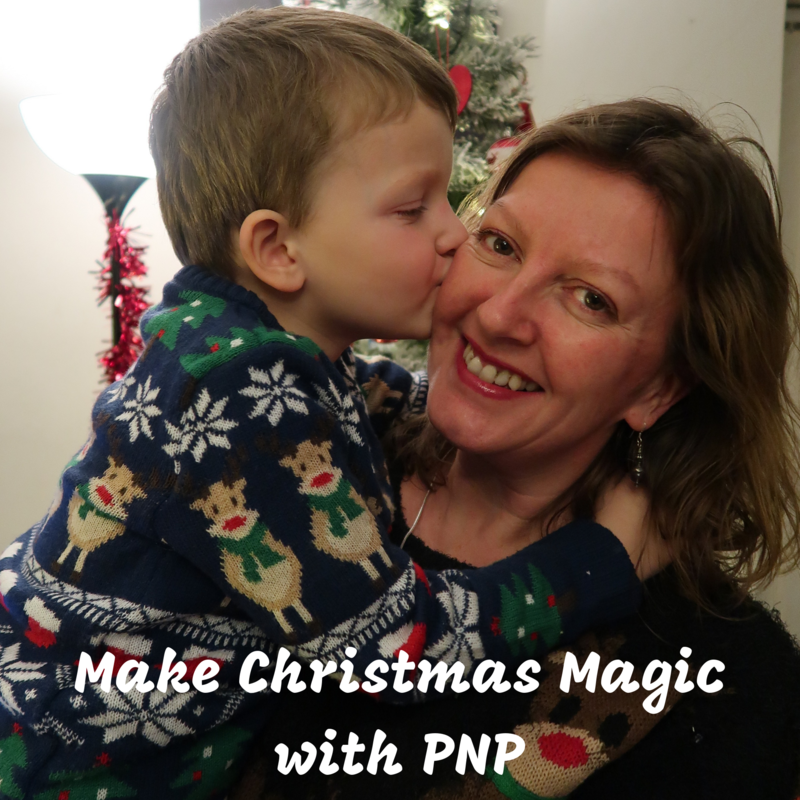 You can take the magic of PNP with you everywhere you go! 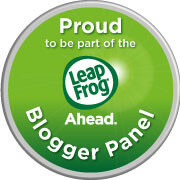 You can create a basic video absolutely free, or upgrade to a Magic Pass for only £9.99 – PLUS I have a discount code to give you 20% off. Simply order HERE. There are several videos to choose from, I chose ‘Christmas Eve’ last year and played it to Pickle on Christmas Eve. 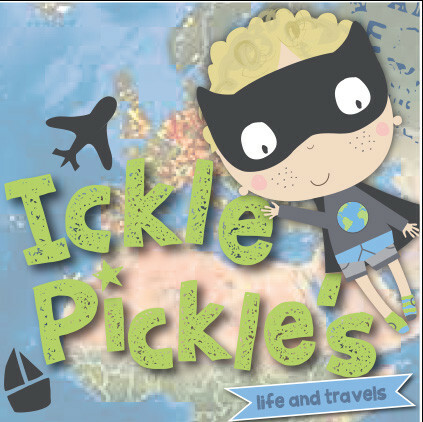 I added a couple of photos of Pickle, and our home address. Different videos will ask for different information. What is super cool is that I could record Pickle’s reaction to the video on my iPhone whilst he watched it! How clever is that? If you enter your child’s birthday they can also have a video on their birthday too. Pickle’s birthday is in October so it is a wonderful moment to start the Christmas excitement. The videos are just magical, the quality and detail is beautiful, any child (or adult) will really believe that Santa is talking just to them. Have a look at the PNP Website to see the different videos and calls that are available as well as the range of other products and toys. As Pickle is super inquisitive, continuing to question everything, I want to make sure more than ever that his experiences are completely believable and appear as real as possible. PNP have done it again with more magical videos and calls. PNP is excellent value for money, as the memories are priceless. You can access your videos and calls until the following September and download them in full HD to keep forever too. Have you had a video from Santa? Or a phone call? We received a Magic Pass in exchange for our honest review. This is fantastic!!! We did the free one last year and the kids loved it and thought Santa had been watching them!!!! This is such a cute service! I’ve never heard of it before and it would be great for my younger cousins. Oh we love the PNP! 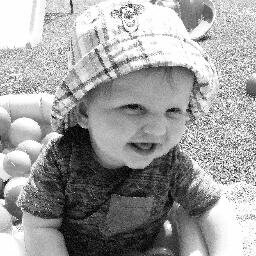 I’ve been using it since lewis was little and the youngest three adore it too! This must be such a magical experience for a child. One year, my uncle shook some bells outside the house as my mum was putting us to bed and we always saw that as evidence that Santa Claus was real! He left the bells in the garden so we found them in the morning, and we thought they’d fallen off the sleigh. I’ve heard of this and think it’s such a great idea. Perfect for kids of all ages! I think my niece had the phone call version last year. Her little face lit up! This is a very cool idea! I didn’t realise this existed. I’m sure kids and kids at heart will be thrilled with this.